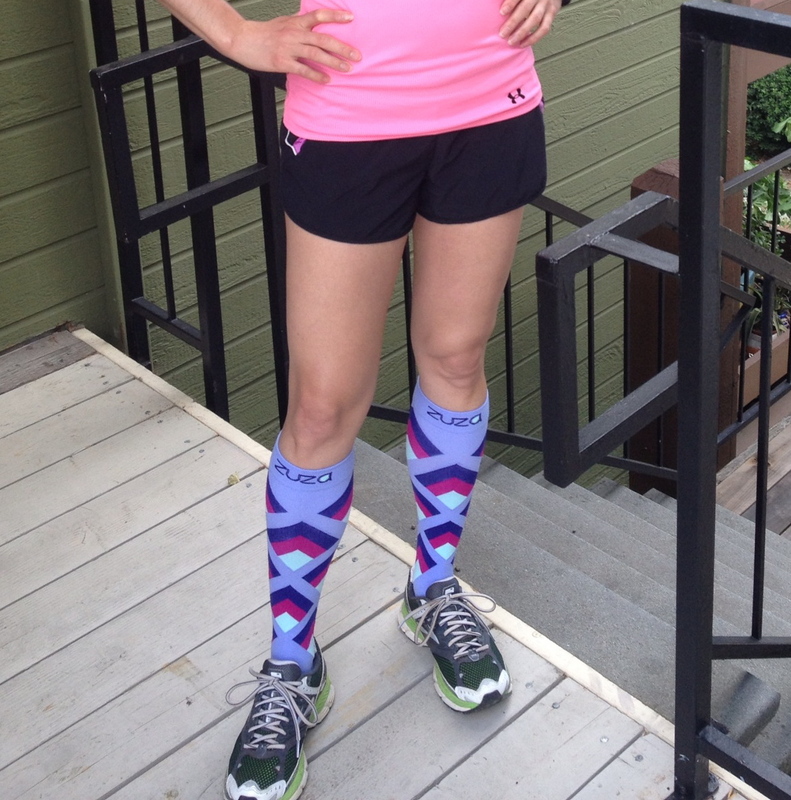 These compression socks from Lunatik Athletiks ($44) got me some unwanted attention, but I still heart them! Uh, what did that guy just say?!? I spent the next few minutes trying to shake off that icky someone’s-watching-me feeling, and was relieved when I could turn onto a pedestrian path headed in a different direction. Every female runner I know has a story like this—making it extremely important to be prepared for unwanted taunts and to know what to do if the harassment escalates. Do a 180—and pick up the pace It’s hard for a vehicle to completely turn around in the middle of the street. This move will buy you time to figure out how to get somewhere safe. Have your cell phone ready Just seeing you whip it out could be enough to make him stop. Try to take photos of the driver, the car, and the license plate if you can. And call the cops! Buddy up in sketchy areas If your route sends you through a neighborhood where you’ve been harassed before, consider finding a new course. At the very least, run with a friend—there’s power in numbers. It’s sad that we need to be ready for these types of scenarios. But it’s better to be safe than sorry. Have you ever been heckled while running? What did you do to diffuse the situation? Disclaimer: Lunatik Athletiks sent me a pair of Zuza Performance Compression Socks free of charge. I was not paid to review Lunatik Athletiks or Zuza Performance Compression Socks, and I did not promise to include the brand or the product in a post. All opinions are mine and unbiased.